In competition with other camps throughout the country Illahee girls won every class they entered in National matches, winning more awards than the combined total of the three nearest competitive camps bringing home a total of 89 trophies. And their expert help continued throughout the years. By 1977 they had trained 151 “Experts” on the rifle range as certified by the National Rifle Association. That is not the work of some typewriter gone wild. It is the name of the place. Of course, the locals are smart. They call it Llanfair P.G. for short. 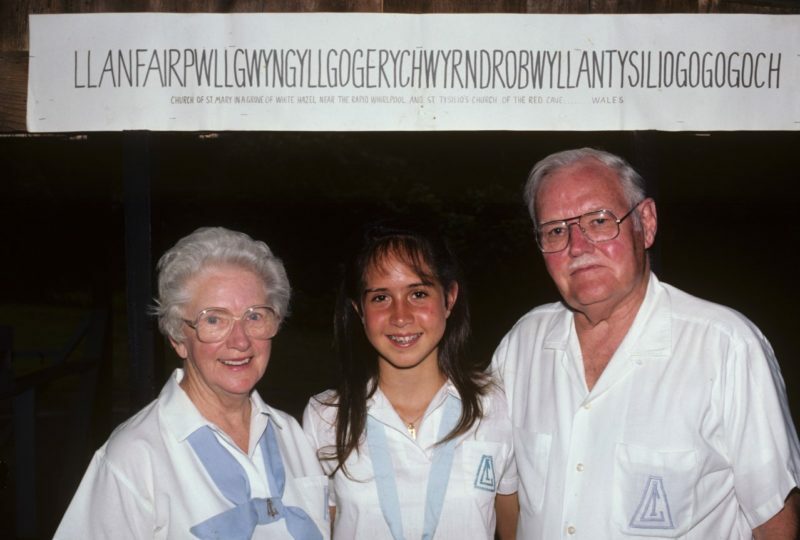 In Welsh it means “The Church of St. Mary in a hollow of white hazel, near a rapid whirlpool and near St. Tysilio’s Church close to a red cave.” This could only mean one thing — Skip and Dolly Thomas and for those lucky girls who could pronounce the Welsh word, a trip to Biltmore Dairy Bar. From 1958 until 1977 and then again for the summer of 1984, Skip and Dolly were much more than very capable riflery instructors. To many hundreds of Illahee campers they were their competent teachers and their loving friends. Spanning the years when three different directors were leading Illahee, Skip and Dolly were there as a presence of love, patient teaching and needed continuity for the girls. From the beginning the girls were grateful for the friendship they bestowed. Many tributes to Skip and Dolly were written by those girls who experienced their attentive nurture. And so say all us –“Mawnin’ Oliver”! Always with a smile on her face and super salesman to the core, She charmed the parents and awed the campers and both came back for more. For idealism was her Bible and from it she never swerved. 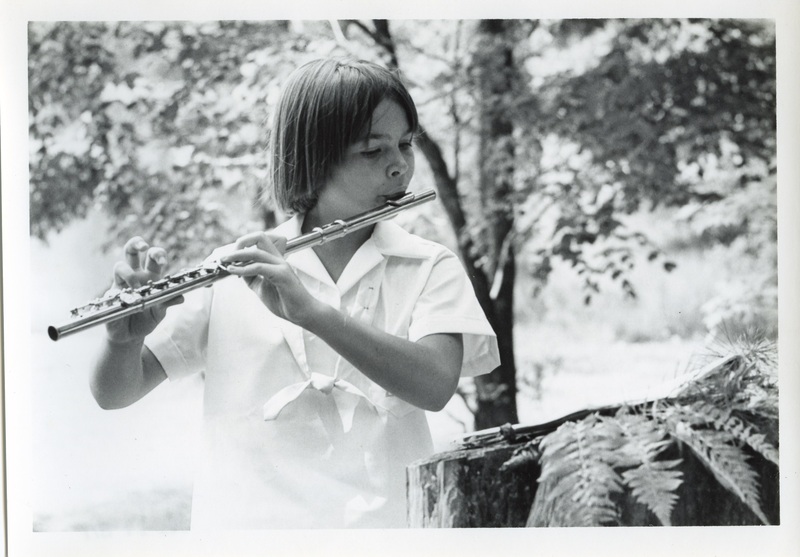 She was fair and appreciative of all you did and was always ready with a kind word.Kathryn Francis Curtis was her name on a legal type of paper, But “Robin” was her name in camp, a beacon, a glowing taper. The Holiday is dedicated this day, a symbol, the key, the chart – Of Robin, who was ever the lady, but always a child at heart. Teeter is what we call her, the name that brought her fame, But Treva M. Tilley was actually her proper name. Laddie and Lassie, Wendy and Bonnie were her Collie dogs, And you’ll find the campers loved them and her and wrote About them in many Illahee Logs.Tiny in size but a heart as big as all out doors, Kindness, gentleness, and love coursed through all her pores.Here, today, we dedicate a favorite – the dining hall, Which only goes to prove once more that Teeter is loved by all. It took courage and strength and purpose of mind, And no two more visionary people than the McLeods could you find, To bring to this land – a place of goodness and glee, Our “heavenly world” – our Illahee. The building that we dedicate is the base, the root the core, The Lodge – that beckons us through its open door. The Mcleods built it in 1929, And it stands today as it will for endless time. As a reminder to us all of their spirit, their dream, they had that sunny morning, That is a tribute to the McLeods as each year Illahee is reborn. 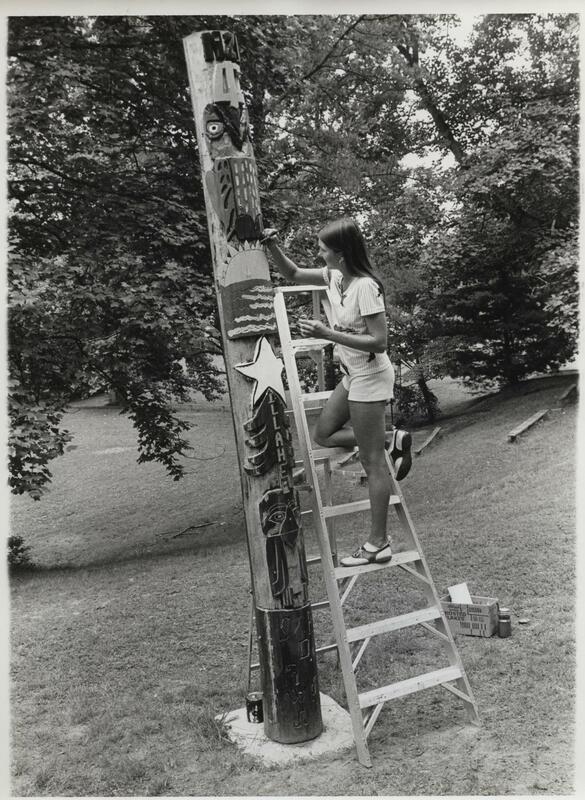 During the summer of 1973 the girls of Pine View embarked on an ambitious project – an Illahee totem pole. 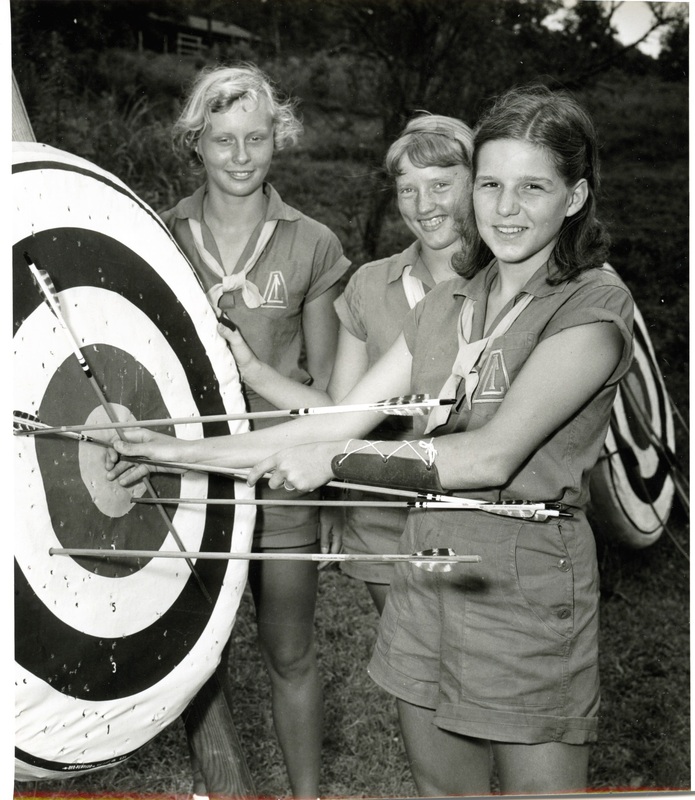 Archery continued to be a popular activity at camp!